Both Hillary Clinton and President Obama are missing in the Michael Brown’s execution on the streets by Darren Wilson on August 9, 2014 in Ferguson, MO ; Jonathan Capehart of Washington Post disagrees with that statement. Has it not been for the Attorney General Eric Holder who incidentally volunteered to go checking things out for himself, it would have been a complete hands-off from Obama. It is unfortunate, sad but predictable. No one in Washington gives a hoot about the plight of the people, much less the blacks. Talking of which, one has to wonder where exactly is Hillary Clinton hiding. It is no secret she is running for office in 2016; in fact, lately she’s been pretty much everywhere except in Ferguson, MO. My mother used to say, “On the eve of the wedding one gets a peek at what it’s really gonna be like”. Hillary Clinton already provided us a peek at her administration when it comes to social issues in general, blacks’ in particular. The only aspired candidate for president who seems to grasp the predicament the blacks are in is Mr. Rand Paul, US Senator for Kentucky; he sounds objective in his reasoning and offers suggestions at times; love him, hate him, when it comes to issues that are race-relation related, Mr. Paul is never timid about expressing himself. All other candidates – democrats and republicans alike have not much to say. And yes, even the candidate (Hillary Clinton) most blacks hope would run – and she will – has already handed her verdict, she is not interested in addressing blacks’ issues; in other words, that is nowhere near her priority list. So, is there hope for blacks at all in America? If a black president does not use the highest office in the land to make a difference, who will? No one is under any illusion that Obama would be brandishing his sword around to magically change the plight of the blacks. No one is under any illusion that Obama would come running like Superman to save the blacks from a never ending slavery, – physical then, financial and social now – they have been subjected to. From blocking their access to freedom to blocking their access to education, to blocking their access to voting, to blocking their access to a decent job, to blocking their access to a promotion, to blocking their access to a better life, society has always made sure blacks are exactly where they are today. Who would be best to begin the process of reversing that trend if it’s not a black president? Who is best to understand what they are up against if it’s not a black president? Who is best to implement policies that could change all that if it’s not a black president? Obama has failed the blacks from the day he was sworn into office; this is not to say to tackle the issue is easy, it’s not. Obama was swiftly accused by the Republican Talking Heads of dividing the country when he commented on Harvard Professor Henry Louis Gates’ arrest; he suffered the same fate when he commented on the Trayvon Martin’s tragedy. So, Obama has been overly cautious when it comes to addressing issues that directly impact the Blacks. instead of addressing those issues in a comprehensive manner, – because regardless what he does he would suffer a fate of sort – Mr. Obama has recoiled into his cocoon (the Oval Office), leaving the blacks to fend for themselves. I am not suggesting that Obama summons Secret Service to get him on Air Force One and go to Ferguson and do what? No, that’s not what I am alluding to. Tragedies will come and are quickly forgotten; to attend to each tragedy would be unrealistic, and the attention Obama would give to each individual tragedy would be short-lived. What I am suggesting is for Mr. Obama to be more aggressive influencing policies that would address those very issues in a more permanent fashion instead of the piecemeal tragedy by tragedy “look into it” behavior. In his keynote address at the 2004 Democratic National Convention, Mr. Obama then Senator from Illinois said “I stand here knowing that my story is part of the larger American story, that I owe a debt to all of those who came before me, and that in no other country on Earth is my story even possible.” Indeed those who came before Mr. Obama prepared the way for him to become the first black president of the United States; it is now Mr. Obama’s turn to contribute towards making it a little bit better for those who are still struggling now and all those who will come after him. To be the first black president does not in and of itself contribute to that end. Sadly, Mrs. Hillary Clinton the other Savior most blacks hope would be able to make a difference in their lives has already made up her mind to stay away from blacks’ issues in general. So, what’s left for Blacks to do in order to change their own plight? We’ve heard comments that blacks should do this and that and the other. For several decades following their emancipation, – they were sent away empty handed with not even the most basic necessities of life; they were even deprived of the very strength they needed to go on – blacks have worked tirelessly and yet their situation today (financial, social) is no better than what it was 70 years ago. There is no lack of Talking Heads, the Usual Suspects (Fox Opinion, Rush Limbaugh, etc. ), who have the magic solution for the problem. Maybe Obama or Hillary or whosoever aspires to the presidency should consult with those experts. 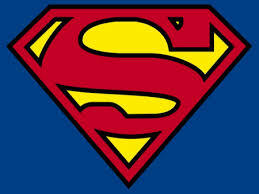 As it stands today, neither Obama nor Hillary is the Superman the Blacks have been waiting for.